I’m not the type of person who has vivid, memorable dreams very often. If I suddenly wake up kind of scared (and relieved), I know that I probably had a bad dream – I just don’t remember what it was, and thankfully so. Other times I’ll wake up disappointed, realizing that whatever had just been happening was only a dream – I’ll usually spend my first ten waking minutes racking my brain, trying to remember what the hell it was I had been dreaming about, to no avail. I can count on one hand the times I’ve cried over the last ten years, and on two hands the times I’ve had memorable dreams. The vivid dreams tend to happen for me when something is weighing heavily upon my mind or when I’m going through a big change. However, I’d like to believe that, on two different occasions, a message was being sent to me through my dreams from a much greater place. My siblings and I had a turbulent upbringing; our mother left our family at a very young age, we moved around frequently, and we were collateral damage of several divorces. Through it all, my father always tried to do the best by us while playing the cards he had been dealt (or sometimes, the cards he dealt himself). I commend him for the job he did, raising four children on his own while struggling at times to simply make ends meet. In my extended family, my grandparents were my rock, as they were for all of my cousins, aunts, and uncles. They loved all of their grandchildren (seventeen in all) as if each were their own offspring (they had seven of their own). They would do anything for any of us, within reason of course. I was always welcome in their home, and was made to feel as if I were home when I was there. Through the years, their house would become the one place that truly felt like home to me; as a child, visiting Grandma and Grandpa was an escape from real life; as a teenager, their house literally became home to me when they took me in while I finished high school. My father had decided to move back to Florida before my senior year – I didn’t want to change schools again, and I didn’t have to, thanks to my grandparents. I moved out of their house after high school, but I visited often, even if it was just to watch a ballgame on TV or to have some of Grandma’s leftovers. Late in 1998, I moved to Florida and was reunited with my immediate family. My grandma was the housewife, the homemaker, the caretaker – an amazing woman in every sense of the word. She was always there if you needed a hug or a talking-to, and both were invaluable. She filled my mother’s shoes beyond capacity, probably without even realizing it and most definitely without trying to do so. I love, respect, and miss her immensely. I saw her a few times after moving to Florida, but not nearly as often as I would have liked. Towards the end of her life, she was on quite a few medications for her various ailments. I remember receiving a phone call from my older sister Cheryl, informing me that Grandma had become gravely ill. I had a tough decision to make: I could leave work immediately to visit her in the hospital (which would have meant, if something happened, I’d have to miss the funeral because I wouldn’t be able to take two weeks off of work), or wait it out, hope for the best, and be able to attend the funeral should she take another turn for the worse. My aunt Melanie convinced me to stay home – I wouldn’t want to see Grandma in that condition, she said. I took Melanie’s advice, and Grandma passed away shortly thereafter. That was January of 2004, and was my first experience with death. It was very difficult for me. I hadn’t been up to visit for a couple of years prior to her death, and consequently, didn’t get a chance to say goodbye. I cried – boy, did I cry – basically from the moment I arrived in town for the funeral until I was on the road back to Florida. And she deserved every single one of my tears. I tossed and turned for the next several weeks, simply unable to get a full-night’s sleep. I was riddled with guilt for not making time to visit my grandmother those last couple of years. One night, I had a rare and realistic dream. I was in my car, and I pulled into Grandma and Grandpa’s long driveway. Upon reaching the garage, I shut the car off and got out. I made my way to the back door, as I had done a hundred times before. As I knocked on the door, I peeked through the window, which was partially blocked by curtains. As I looked past the kitchen, I could see Grandpa sitting in his chair, but beginning to stir upon hearing the disturbance. Before he could get up, my view was cut off by my grandma’s face, who had already been in the kitchen doing housework. She opened the door and greeted me with a hug and the familiar “Hi Luke!” that I had been accustomed to, and then ushered me in and offered me a chair. That was followed by a “Hey Jumbo!” from Grandpa in the living room – “Jumbo” is a nickname we (the grandchildren) and Grandpa had called each other through the years. The comfortable smell of their house filled my nostrils. “Would you like something to eat?” she asked. I said yes, of course, and she apologized as she pulled out the rectangular, yellow, ceramic container with a glass lid from the refrigerator – “All I have is this leftover meatloaf.” She had no reason to be sorry, though, as her leftovers were better than anything I could get anywhere else. She popped it in the microwave, came over to me and put her arm around me, and said “It’s OK.” I woke up, and felt a wave of relief pour over me. I slept twelve hours the following night. One thing that stood out from my visit for Grandma’s funeral was my grandfather; he was what he had always been to everyone in our family – an impenetrable support beam. I remember standing near my grandma’s coffin during the wake, uncontrollably quivering, and Grandpa came over and put his arm around me. With a smile, he reminded me of how proud they both were of me, and how much she loved me. His lifelong companion was gone and yet, there he was, providing his family with exactly what they needed at that moment – strength, compassion, support, and love. It’s his incredible strength that made him the man he was, that allowed him to survive being a P.O.W. in WWII, and that enabled him to create the amazing family that I am proudly a part of. 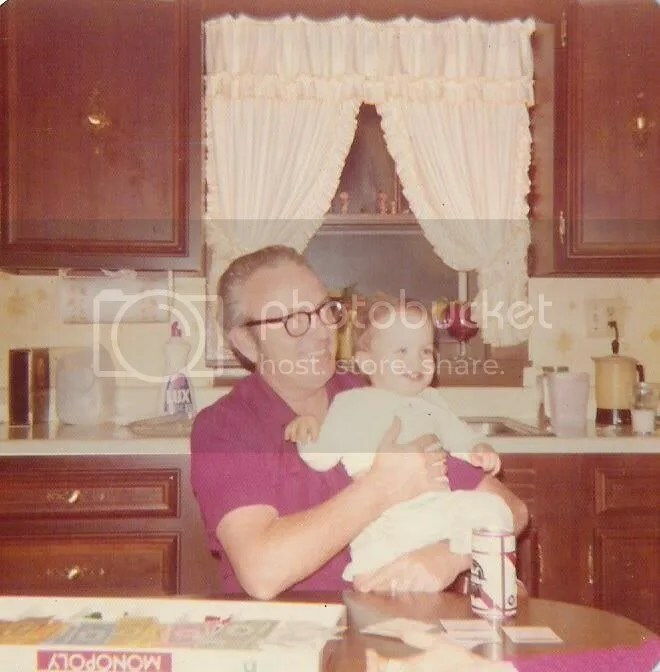 A couple of years later, I had the opportunity to visit Grandpa while on my way to a week-long vacation in St. Louis. I stayed a weekend at his house, sleeping in what had been Grandma’s room. We talked quite a bit, catching up on each other’s lives while also reminiscing a little bit about Grandma. Sunday morning, the day of my departure, my grandpa and I went to church together. Even though his church was just a hop, skip, and a jump away, he didn’t always attend mass due to his deteriorating physical condition. He was still as sharp as a tack, but arthritis and a couple of knee-replacement surgeries (among other things) had slowed him considerably. So, this was a special occasion for both of us. After mass, we drove to the cemetery to pay Grandma a visit. Grandpa stayed by the road, because the hill leading to her grave was too steep a trip for him to make. I stood at the foot of her resting place and read a little something that I had prepared for her the night before. Once finished, I lit the paper from which I had been reading on fire, and I held it above her until it was gone. Later that day at the house, it was time to say goodbye. Grandpa and I shared a long, emotional hug, and he once again reminded me how proud he was of me. Without speaking of it, we both knew that this was probably the last time we would ever see each other, and treated it as such. “I’m trying to figure out when I can come up… not easy, you know how busy I’ve been lately. I talked to Annie (my sister) though, and I’ve also talked to Matt and to Cheryl. I got your message about the checks…thanks. It’s hard to care about something like that right now, but you know we all appreciate it. So… I know that you can’t really tell if Grandpa is awake or not, or if he can hear what you’re saying. Regardless of that, if you didn’t mind, I was hoping you could somehow read this to him? Thanks dad. Hey Jumbo! I’m going to come up there, but I’m not sure when that will be, so I thought I would write. I miss you!! But of course, you know that, just like I know you miss me, too. It’s that unspoken bond you’ve always shared with me, the same bond you share with everyone in our incredible family. That’s one of the things that was always so great about you, and about Grandma, too… you made every one of your kids and grandkids feel like they were your favorite. Well, you know what? You’re my favorite, too!! I have so many great memories with you and Grandma both. Remember when you wanted to buy a new car, but you just had surgery on your neck? I had to load you and Grandma into my tiny Camaro, and I even had to remove the t-tops because the halo-thing attached to your head was too tall. I remember Grandma saying, “It feels like I’m sitting on the ground!” But she swore she was comfortable, she just didn’t like the wind messing up her hair. Then I test drove the cars for you while you sat in the backseats, and I told you what I thought…it was hilarious. When we finally decided on the Mercury, I remember you writing a check for the full amount, and with a smirk and a gleam in your eye, you said, “Well Luke, there goes your inheritance!” I had such a good time that day. I’d like you to know that I’m doing well, and that I think you’d be proud of the man I’ve become. I have no problem telling you in the presence of my dad…I owe a lot of who I am to you. Just like Grandma was like a mother to me, you were always like a father to me. How could I have possibly have gone wrong with TWO dad’s as great as the two I have? You instilled a great sense of responsibility in me, and I’m eternally thankful for that. You are truly a grand father. Well, I hope that when you are ready to leave us, that your transition is peaceful and painless. I’m sure Grandma is excited about seeing you again! I love her and miss her, let her know that for me when you do decide to make your way up there. I love you too, Grandpa…very, very much!! My dad did read it to him, and he thinks that Grandpa heard it. 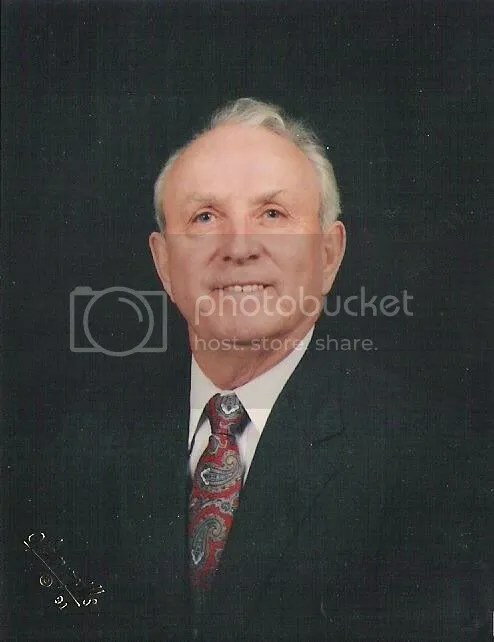 My grandfather passed away two days later, on August 31st, 2007. I made it back to town for the wake and funeral, and I held myself together rather well, for the most part; all I could think about was how strong and supportive Grandpa was to everyone when Grandma passed away. I tried to emulate him, and be that during his passing to anyone in the family who might need it. I think he would have wanted it that way, and it made me feel good to draw that kind of courage from his memory. In addition to a nice inheritance that he worked his entire life to attain, my grandfather left his house to my aunts and uncles. Grandpa had bought the house in 1954 and lived there until last year. This house was the site of countless holiday and family gatherings. 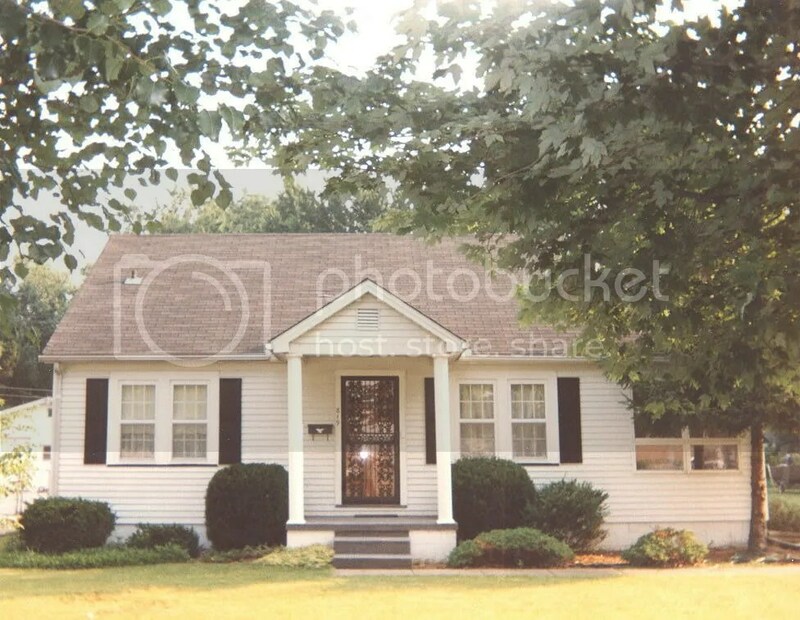 It also played host to many backyard whiffle ball games and driveway basketball games, and many of us in the family had become adults while living in this house. To me, it was a symbol of the foundation and strength that my grandparents were to my family. The time had come to decide what to do with the house; there wasn’t anyone living there, and the upkeep had become a strain on everyone involved, especially my aunt Melanie. During this time, I had been unhappily continuing to live in Florida. There had been talk between Girlfriend and I about moving away somewhere – at least for me, the cliché had proven true: Florida was a nice place to visit, but you wouldn’t want to live there. At the same time that our “moving” talks had become more serious in nature, the decision had been made by my family to put “Grandpa’s house” on the market. My mind wrestled with the possibility of moving back home, and whether or not I was prepared to make such a decision. Suddenly, another dream. I was in the neighbor’s back yard; the house next door that was still referred to as “Jason’s house,” a childhood neighbor/friend, even though he and his family no longer lived there. I was facing Grandpa’s house and driveway. I was obviously participating in a game of whiffle ball, as I was facing the area in the driveway that had always been designated “home plate;” I looked down and saw the ball in my hand… I was pitching. Folding lawn chairs were at each of the bases, which were used as substitutes for actual human beings; you could throw at a chair and get a force out if you were lucky enough to hit it. Home plate was a seat cushion, with a tri-folding beach chair standing up on its side just behind the cushion, serving as a catcher. There was a bit of a drop-off from the edge of the driveway to the grass of Jason’s yard, so you had to be careful not to trip when running down to first base. Standing at home plate, waiting for me to throw a pitch, was Grandpa. He had on plaid golf shorts, socks, and penny loafers, along with a collared shirt and golf hat. He was older, but not as old as he was when I had last seen him alive. I asked him what he thought he was doing out here. He grinned and said, “Just throw me a pitch.” I obediently did as I was told, and he hit a line drive to the part of the yard that was left field. He began to slowly jog toward first. I ran towards him and yelled for him to watch out, as he was nearing the drop-off at the edge of the driveway. I knew that his knees probably wouldn’t be able to take it, and he definitely wouldn’t be able to withstand a fall. His step from the driveway to the grass became slow motion, and as his foot touched down and he continued on unscathed, he looked at me, still smiling, and said, “I never felt better in my entire life than I do right now.” He stopped at the lawn chair that was first base. There was a pause, then he suddenly asked me, “What are you waiting for, Jumbo?” and somehow, I knew this question had nothing to do with whiffle ball. I woke up immediately afterward. Are dreams conjured up only from our own subconscious thoughts? Or, is it possible that outside forces, higher forces that we don’t have the awareness to even begin to understand, have the ability to influence what we see and hear while we are sleeping? Who knows? The human mind is an amazing thing, but I suppose anything is possible. I know what I want to believe, and I can tell you this much: today, Girlfriend and I closed on the loan for “Grandpa’s house,” a day that would have been Grandpa’s 84th birthday. Very, very true. Mom was so unassuming and so darn perfect in the common sense department. And that cooking, mmm. How about those chicken and dumplings? For those who don’t know, my mom and dad ran a couple of their own restaurants back in the day. I wish cooking like that still existed. So true, Matt. NOTHING could beat a home-cooked meal by Grandma. I crack up every time I hear that beeper story, because I knew nothing about it when it happened. Thanks for the comment… today is a very good day. Kudos! I like that a lot. Beautiful post and the first to move me to tears. I’m glad to hear you and the miss are going to be moving soon. I’m very happy for you both. Do you already have work lined up there? My granny was from Illinois, but lived out her last years (happily) in Arizona with my mom. My grandpa (piece of sh…let’s just say we don’t get along) still lives (regrettably) in Illinois. I envy what you had, and what you still have (in your heart) thanks to your grandparents. Congratulations on the house. 😉 Enjoy. That was fabulous to read. I enjoy your blog in general. I love getting to know mom and dad from your perspective. I too have had a vision from mom and grandma during a guided meditative session in which dad and I participated. Maybe more on that later. Thank you, and thanks for the poem. Perhaps you can fill me in on your “session” one night in Hilton Head… I can’t wait! Regarding the whiffleball, how sweet was it when we came up with the lawn chairs to be our fielders at each base? Remember the garden(s) being like outfielders? (It was an automatic out if one hit it in the garden so as to avoid having the fielder run wildly into the garden – squashing plants – to quickly retrieve the ball. Also, remember the reason that the “field” was moved so home plate was on the concrete driveway? That was a result of Dad/Grandpa not being happy about the brown, dead spot in the yard where we all stood to bat. So, it was moved to the driveway…lol. That made sliding into home a precarious choice. We may have to have a whiffleball game some time when Dan is in too (if I ever stop being a swollen fool, that is). Also, I clearly remember the yellow leftover dish Mom used. Like something out of a Pavlov study, I’m sure I’d drool immediately upon seeing it again. Hey, that would be a sweet welcome into heaven. Mom standing there with that dish full of pork chops. The lawn chair idea was a genius one. It enabled us to play whiffle ball one-on-one, which meant more whiffle ball for everyone! I also remember Grandpa not being overly excited about all the dents in the siding of the house from the multiple times we’d hit it with either a thrown whiffle ball or a stray basketball. I clearly remember those things, too. That dish represents YUMMY. Thank you for sharing that. You should take comfort in the fact of knowing that all that our grandparents ever wanted for us was to see us happy. It sounds like yours saw that, as did mine. Luke, you have left me in tears. What a beautiful family. Big HUGZ and wishes for many more happy memories in your home. Thank you very much for the well wishes, and I’m glad you enjoyed my post. You’re right, you don’t follow rules so well! Also, to everyone…great poems, but I never said you had to write Haiku’s here! That was only for the Haiku Friday post. Wow. That is one fantastic story. I sometimes think it’s strange how people do or do not feel their familial roots. You don’t have to be some obsessive genealogist to do so. But some people just don’t, I guess, and I think that’s a bit strange. Thank you. I know I am blessed to have the family that I do. Wow. I love this post. I, too live in my grandparent’s old house. I love it. It centers me, and reminds me who I am, and how I got here. Really? That’s very cool, and comforting. I haven’t physically moved into the house yet, but I suspect I will experience feelings very similar to yours.